What can I say -- I was very happy and in love like I never imagined. One day many things changed the course of the path that I was taking. On April 18, 2007 we had to urgently take my grandmother to the hospital because she got really sick; she had lupus (a long-term autoimmune disease) for 30 years and dialysis due to kidney failure for 16 years. Her health was deteriorating as they detected cirrhosis of the liver not from drinking but from the great amounts of medication she was taking. The doctors said the Tylenol (acetaminophen) was the one that had affected the liver the most. When we were in the hospital with my grandma I received a phone call from my boyfriend’s mother, Talpa. Talpa told me my boyfriend, Jesus, had been in a car accident and was very critical in another hospital. She didn’t live in town so she had to wait for the next flight to Tucson, AZ. I rushed to the other hospital to see my boyfriend. I couldn’t see him as I was told that doctors were trying to stabilize him because his head was detached from his neck. I couldn’t believe this was happening. A couple hours passed until I finally got to see him. His head was huge and he had a halo attached to his head, and many tubes all over his body. The doctors said they didn’t know if he was going to make it. After a few hours the doctors said they would have to do various surgeries on him, including separate mandible and neck surgeries. I went back to see grandma and the doctors said there was nothing to do anymore, that she was suffering too much and suggested it would be best to place her in a hospice. It was so hard to make that decision as a family. My boyfriend Jesus opened his eyes the next two mornings but couldn’t speak because his mandible was broken, and also the pain medication he was receiving made him forget everything in seconds. A week later, Jesus had the mandible surgery. To me it had seemed like a month had gone by. A week after the mandible surgery he had the neck surgery. The doctor’s said there were three possible outcomes for Jesus; die, be paraplegic for the rest of his life, or at best not be able to move his neck ever again. The time in the waiting room seemed eternal, but the surgery was a success. I got to see him and was very happy that God heard our prayers and gave him the chance to live. One week later my grandma passed away and we went to Mexico for three days as her wish was to be buried there. The funeral was very sad but at the same time we knew she wasn’t suffering anymore. Meanwhile, Jesus had been placed at a rehab center so I went to visit him as soon as I came back from Mexico. I walked into the room and heard Jesus’ voice, I got so happy my eyes quickly began to tear. I couldn’t believe how much I missed him, not only his voice but his tone. He was doing so well. I was so happy but sad at the same time for the loss of my grandmother, but Jesus gave me the comfort I needed. Two months went by and he got discharged from rehab. He was walking and talking with his mouth wired since his mandible was healing. He still kept the halo for about 3 more months. Jesus had to move to Nogales, Arizona, because that was the only place his mother had family and could get extra care for him since she lived far away. I visited him on the weekends, and would meet up with him when he had to come to town for doctor appointments. It was hard living in different cities but I loved him so much it would just be until he got well and didn’t need any more special treatment. His doctors were trying to take him off of addicting medication he was prescribed due to the pain of his neck. Months after, his halo and the wires on the mouth were finally removed which brought an enormous joy to him. It was like a new beginning. One day Jesus let me know he would be coming into town on Friday to start school again, and he wanted to see me. On Thursday, the day before I was going to see him, I felt a great sadness in my chest. I remember crying late that night. I wanted to talk to Jesus so bad so I called his cell phone but he didn’t answer so I had figured he was sleeping. The next morning I woke up, and I remember I was praying for God to give Jesus and I the chance to be together again in happiness. Seconds later I received a phone call -- it was Jesus’s mother. She began to speak with great sadness while crying and said Jesus had passed away that morning. I remember yelling, crying, asking why and how could that be happening. We didn’t know the reason to his sudden and unexpected death, we had to wait for the autopsy results. That was the worst day of my life until this day. I felt dead inside. I don’t remember eating anything for two weeks, I would only take one bite of food and couldn't swallow it. Two weeks later the funeral took place in Nogales, Az. I remember driving to Nogales, and when we were about 15 min away I began to shake and couldn’t drive anymore. My mom then continued to drive from there and got to his house where they had him in his coffin. As I walked in to his house I saw the coffin and I stopped and turned my back to him. I couldn’t believe it was real, it all seemed like a nightmare. I turned back and hugged him and could not let go. The next day we buried him and drove back to Tucson, Az. A couple of weeks later Jesus’ mother received the autopsy results. It said that he mixed two medications that weren’t supposed to be taken together. They were a muscle relaxer and methadone. His heart stopped due to the mixture of these medications. Jesus’ mother remembered the doctor prescribed the medications to him at different times but never told him to stop taking either of them. Jesus’ mother remembers that the pharmacist advised Jesus to be careful with those medications since they were dangerous. Jesus’ mother wanted to sue the doctors but Jesus health insurance denied that they paid for methadone, and the doctor did not have it in his records. The only testimony she could have had was the pharmacist since he remembered Jesus taking him the prescription and being covered by the insurance and having advised him of the medication. It was a sad and irreversible mistake that was made, and nothing could been done to prevent the same doctor from doing it again. I lost my grandmother in part to the effects of Tylenol, and I lost Jesus to the interactions between medications. My advice is always to double check any medications side effects and combining medications reactions. Always use several resources such as doctors, pharmacists, and the internet. 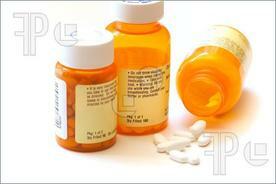 One error with medication can determine whether your loved one is alive or dead. It took me 3 ½ years to get out of depression from this, but I hold many great memories and I will always be extra careful with medications. I will always love and miss both my grandmother and my dear Jesus.